A diet journal created to go alongside Its Not Rocket Science Reverse Type 2 Diabetes And Become A Better Version Of Yourself. It can also be used with any diet that you may be on. A daily journal to track what you have eaten, drank, exercise taken, your mood followed by a 4 weekly measurements summary and a 3 monthly measurement summary. This diary will last you for 6 months. Included at the back some positive coping mechanisms and ways to move forward, focus and stay on goal. This is my new edited version. I have lost a staggering 35lbs and a total of 58″ by taking part in ITV’s The Fast Fix: Diabetes Clinic. I accomplished this by going on a very low-calorie diet of 800 calories a day. I lived with 4 strangers for 4 weeks trying to reverse type 2 diabetes. I succeeded and this book gives you an account of my journey through this process. Not only did I reverse type 2 diabetes I managed to reduce my fibromyalgia symptoms drastically. 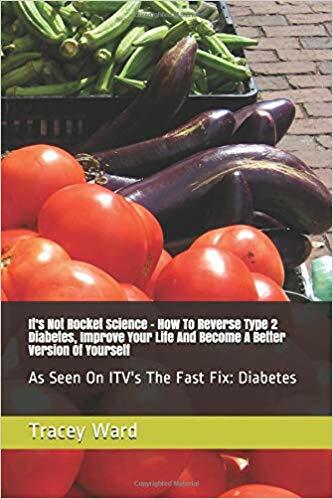 This book is not just about a diet it is aimed at improving your whole lifestyle and I write about the whole person not just about the food you eat but everything else you need to address too. It covers everything you need to know to set you on the right path of getting to your goal and being a better version of yourself. I have been on a diet for most of my life and this is the only thing that has worked for me. It has changed my life in more ways than you can possibly imagine. I have gone from being a prisoner in my own body and home to going to the gym four times a week. If someone told me last year that I will have lost 35lbs, 58″, and writing my own book about it I would have thought they needed a straightjacket. I know it is a cliche but if I can do all this you certainly can. Hopefully, my book and my story will help you to change your life for the better too. 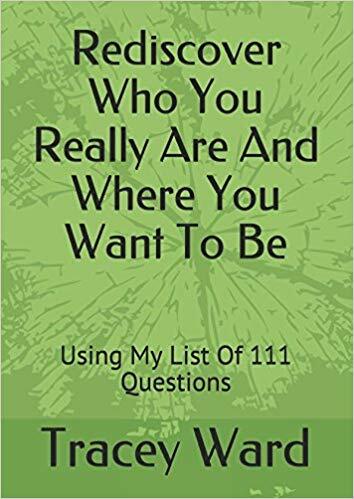 In this edition, you will find two sections regarding self-help and how to move forward in life and change your life for the better. 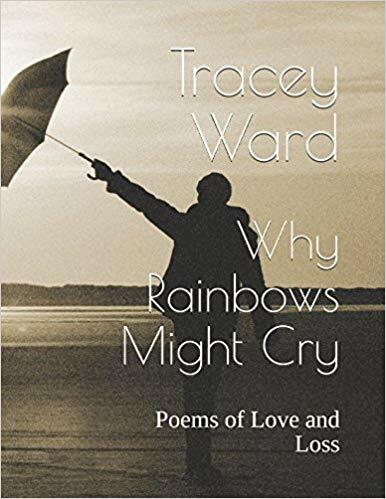 It includes some popular posts from my blog www.traceyward.me before it was hacked. This book was initially created for a close friend who suffers with Bi-polar, Depression and anxiety and had lost his way in life. Unfortunately, when people struggle with mental health issues you can get bogged down and become extremely unfocused and basically can’t see the wood for the trees. This happened to my friend. I suggested that he wrote a list of things that made him feel happy etc but because of the place he was in emotionally, understandably he couldn’t focus on thinking of any questions to ask himself for him to start this process. Subsequently, that gave birth to this book. It’s not an answer to all your problems because the answer is you all this book will do is make you think about different areas in your life. 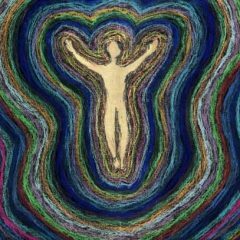 There is nothing too scary in there it is just a starting block to get you thinking of ways to start the process of moving forward and taking back control of your life. Moving forward in a way where you can be more pro-active rather than reactive. I do this with myself; I have a huge list of questions which I review on a very regular basis. I have found it a very positive thing to dip in and out of and hopefully, you will too. On another note I know there are people who just like writing lists and lists of lists; my lovely daughter-in-law and I are both guilty of this. I hope it helps people going through a difficult time to re-focus their thoughts even for a short time. Due to a recent hacking (March 2019) I have had to restart my website and blog. 3 years of work lost but I am not letting it beat me. I am starting again from scratch so please bare with me.